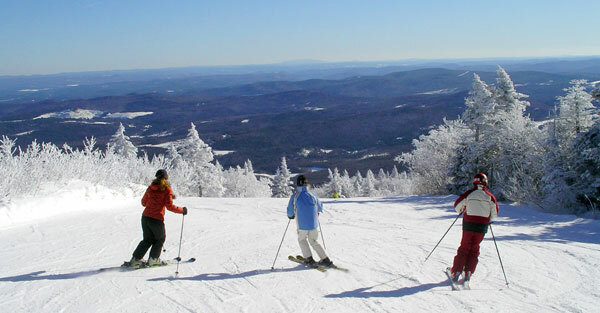 Bolton in recent years has expanded its skiing terrain with new glades and a quad chair to the summit. A small, self-contained village round out the resort experience, with the popular James Moore Tavern for après ski in the Main Base Lodge, a Sports Center with swimming pool, the slopeside Bolton Valley Inn and condominiums. Bolton tends to be less crowded and affordable for families with a lively terrain park scene for teens. Bolton was the first Vermont ski area to debut a wind turbine.